Professional sports is a cold world. One minute, you’re beloved by an entire city and then people will forget about you, at the drop of a coin. Now, Jed Lowrie was never a fan favorite within the Mets fanbase, but that’s understandable, the infielder has yet to suit up for the Orange & Blue. So while many fans are close to having an aneurysm, in regards to his injury, many fans also understand that this is a good opportunity to see what J.D. Davis is about. Jed Lowrie was quoted saying “I’m looking at what I can do today because I think the focus has to be on getting this right so there’s not a recurrence”, when he was asked about Opening Day and his possible availability. 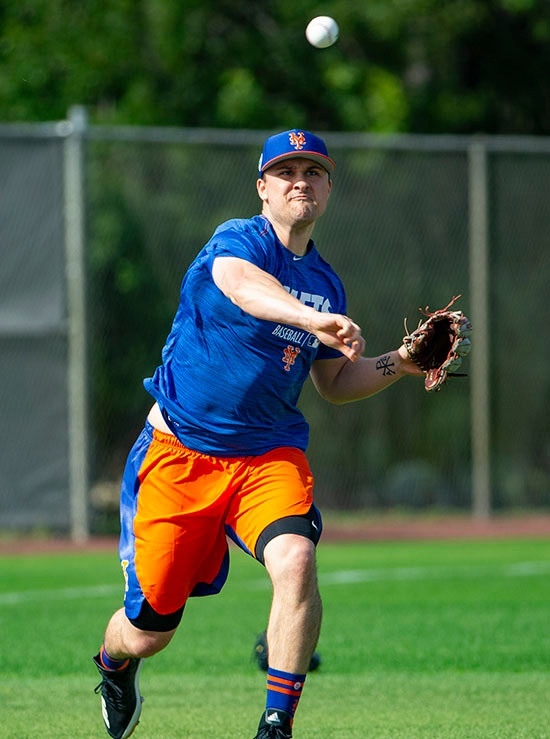 “I’ve been doing this for a while, so I think the biggest thing is I’m strong and healthy… In the past, baseball has come back quickly.” Lowrie stated. Davis hit well while climbing the Minor League ranks during his time with the Astros. In 2015, Davis hit 26 home runs in high A ball as a 22 year old, half a year younger than the League average. In five MiLB season, Davis has 105 home runs and a slash of .292/ .362/ .521/ .884 in 507 games and 1981 at bats. J.D. is a third baseman however, his versatility allows him to play all of the corner positions. Something that should be valuable during a 162 game season. He’s slated to replace Lowrie, incase the newly acquired infielder is unable to suit up on Opening Day.